I love this great black & white photo of a neighborhood shop. Of course I was first attracted to the large Helmar sign across the facing but the details really place you in the scene. 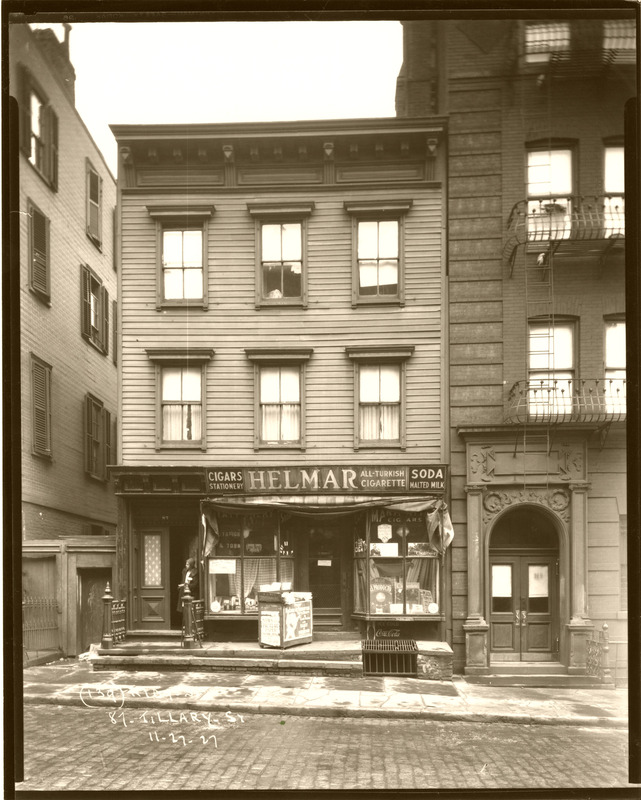 The shop was at 87 Tillary Street, Brooklyn, and was taken on Sunday, November 27, 1927. Broadcaster Vin Scully, the voice of the Dodgers, was born nearby that same day. Apparently the building doesn’t exist anymore but it was quite near where the post office is today. Enjoy. Great nostalgic photo. Thanks for sharing.